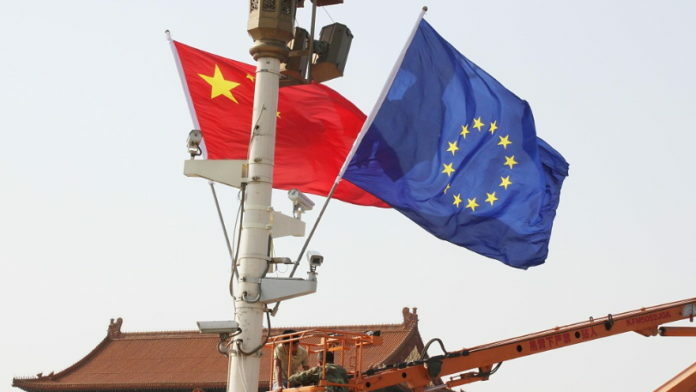 Europe needs to muscle up against China’s aggressive investment and unfair competition, according to a report from the European Commission’s in-house think tank, in a sign the Continent is belatedly getting serious about the rise of China. 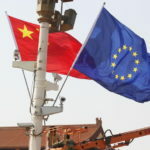 The report comes a week after the European Commission itself labelled China a “systemic rival”, and just days ahead of a summit where the 27 EU leaders are set to endorse an industrial strategy aimed at crimping subsidised Chinese companies from bidding for major European procurement contracts. 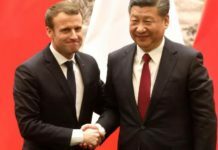 The growing drumbeat of anti-Chinese rhetoric will please Washington but trouble Beijing, as it threatens to overshadow President Xi Jinping’s imminent tour of Europe at the start of April. The report released this week by the European Political Strategy Centre (EPSC) says Europe needs to use its own defensive trade policy armoury and also go “on the offensive”, including via the World Trade Organisation, to prevent China from using state subsidies to undercut Western competititors. 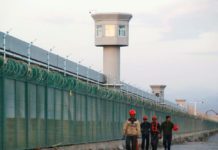 “While China should be recognised for making genuine advances in innovation and technology, it is also clear that at least part of its success is owed to generous state subsidies, significant market protection and a lengthy track record of unfair trade practices, commercial espionage and intellectual property right infringements,” the report says. It also backs a tough approach to screening foreign investment for security risks, saying the EU’s new screening process would have raised amber flags on 83 per cent of Chinese investments in Europe last year. 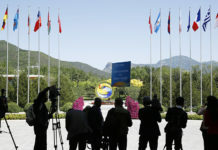 The EPSC’s conclusions will be music to the ears of the Australian and US governments, which have been pressing partners to take a more strategic and sceptical approach to China’s global economic expansion, rather than merely welcoming the influx of investment. The EPSC report and likely EU action later this week will create a challenging backdrop to a key set of bilateral talks between China and the EU in early April, which Beijing has upgraded by fielding President Xi instead of a lower-ranked minister. The stage is set for a significant arm-wrestle over whether China operates on a level playing field. 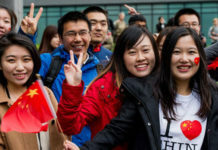 “Berlin and Brussels have noted Beijing’s predatory attitude towards Europe’s intellectual property and straggling economies in the south,” said John Hemmings, director of the Asia Studies Centre at the London-based Henry Jackson Society. Mr Xi’s visit comes as Germany and Brussels have started to make more assertive noises about Huawei’s involvement in the development of their 5G infrastructure, although they still look likely to stop short of following the US and Australia in completely banning Huawei. 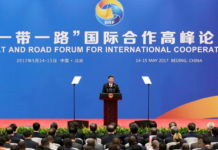 But the challenges of keeping Europe on a united course have also been apparent in recent weeks, with Italy suggesting last week that it might sign up to China’s ‘Belt and Road’ infrastructure financing initiative when Mr Xi stops in Rome during his European tour. 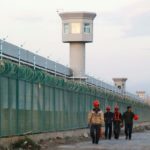 The EPSC report paints an alarmist picture of the relentless march of Chinese companies onto the global stage. 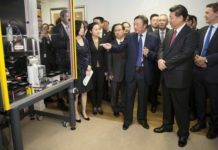 It notes that Europe’s first-mover advantage in manufacturing solar panels, for example, was almost completely surrendered to China in barely a decade. And it charts how Chinese buyers of European assets, often working with heavy state subsidies, quickly reorient supply chains to their own domestic suppliers. 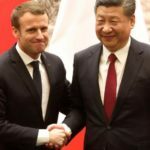 However the report rejects calls by French President Emmanuel Macron and German Chancellor Angela Merkel for a relaxation of competition rules to allow cross-border European mergers – such as the Brussels-vetoed deal between transport giants Siemens and Alstom – that might create global behemoths capable of taking on Chinese state-owned enterprises. Instead, it urges Europe to pump money into R&D and business support to nurture competitive industries, possibly including through the creation of a European Sovereign Wealth Fund. It also suggests encouraging big European companies to work in partnerships, rather than through formal mergers. And it argues that Europe has to become as smart as China at penetrating international standard-setting processes and working them to domestic advantage.